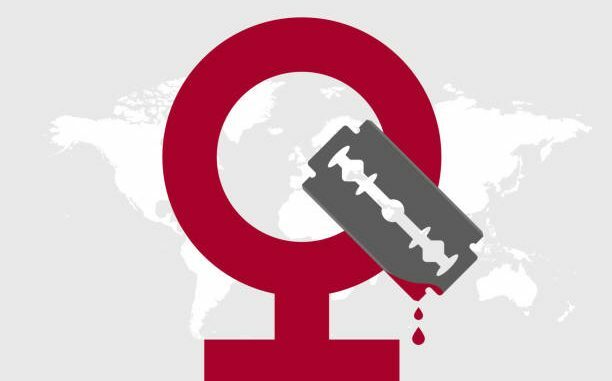 A mother of three became the first person to be found guilty of committing female genital mutilation (FGM) in the United Kingdom in a landmark verdict given at the Old Bailey in London on Feb. 1. The practice was banned more than three decades ago. The 37-year-old woman, originally from Uganda, performed the procedure on her three-year-old daughter in the summer of 2017. Her partner, 43, from Ghana, was acquitted of all charges. The couple, who were not named for legal reasons, have denied the charges of performing FGM and failing to protect a girl from the risk of genital mutilation. Justice Whipple warned of a “lengthy” prison sentence. The woman has been remanded in custody and will be sentenced on March 8, according to London’s Metropolitan Police. Authorities had discovered the girl’s genitalia were either removed or partially removed after her parents had taken her to the hospital with serious injuries about 12 hours after she had been cut with a sharp instrument. The couple had insisted that the girl’s wounds were the result of an unfortunate accident. They claimed she had fallen from a kitchen counter onto an open, metal lined cupboard door. Doctors, however, determined the child’s injuries could not have been caused by such an incident and found they were consistent with FGM. FGM was outlawed in the UK in 1985 after passing the Prohibition of Female Circumcision Act, which was later updated in 2003. Three cases of FGM have been brought to trial in the UK, all of which ended in acquittal. There have been 298 prevention orders put in place in order to protect children who have been perceived as at risk.